Dragons, fauns, faeries, harpies, angels, and many other fantasy creatures grace the pages of this book by artist Casey Gilmore. Casey accompanies most of the designs with a story. Some of her creatures are based on Norse mythology, like Odin and his eight-legged steed Sleipnir, while others are more general fantasy designs. 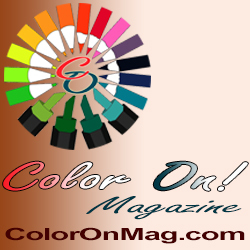 All of them are intricately hand-drawn, with loads of detail for you to color. 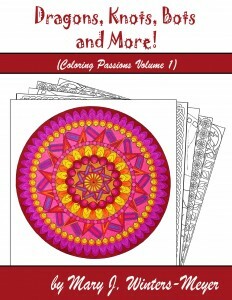 If you love coloring fantasy images, this book is sure to inspire hours of enjoyment. Please note that this review is for the spiral-bound version of this book, printed on cardstock. 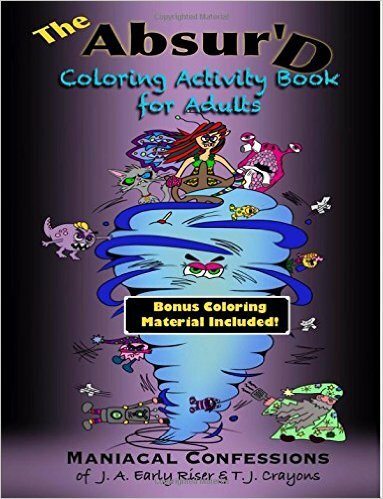 Casey also has a glue-bound version, titled Fantasia An Adult Coloring Book Of Fantasy and Mythology – The Concise Edition. That version only has 15 of the illustrations from this book, so while it will still be lovely, it is not exactly the same book.